Autumn is truly upon us, and there's nothing like taking in the fresh air and stunning landscape of the Brecon Beacons, and then cozying up beside a roaring fire in a romantic Autumn escape! A cozy and romantic riverside cottage set in a remote Welsh valley. Withoak beams, a large inglenook fireplace and a friendly interior, this is the perfect country escape for two this Autumn. Take in some of the stunning scenery on walks in the Black Mountains before cuddling up beside a roaring fire as the Autumn evening draws in. The village of Llangydnir is just down the road; a thriving little community with two active local pubs serving good comforting food and drink. 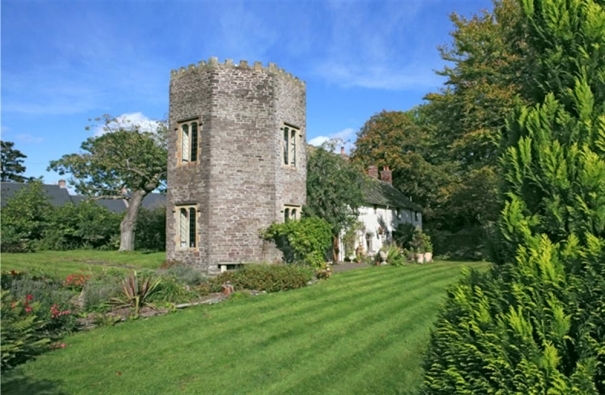 Tretower Court and Castle is only a ten minute drive away. For over 900 years, the castle and court has been altered and adapted to suit the style and tastes of the times. Now they have recreated a suite of rooms as they may have been in 1470 when the Vaughan family were part of high society. Escape into the romantic history of the castle and discover their sophisticated way of life: from intricately carved furniture right down to the pots and pans of a working kitchen! 15th century living at its best! This comfortable and warm little cottage is a perfect retreat for two, set on a small holding in rural Wales and surrounded by stunning views. The soft furnishings and woodburning stove create a cozy interior and a perfect Autumn hideaway. Brecon town is only 4 miles away and is perfect for a day out. Take a stroll down the promenade along the River Usk and visit the Norman cathedral, founded in 1093, which is especially stunning in the Autumn months and visit the Pilgrim’s tea rooms for a warming cup of tea and cake. There is also a livestock market held every Tuesday and Friday in the town, and a craft market on the third Sunday of every month. Enjoy a luxurious and romantic escape to a castellated Elizabethan tower this Autumn. The interior is regally furnished, with an impressive hand-carved four poster bed and large open stone fireplace. Cozy up in your own private castle this autumn, surrounded by the stunning landscape of the Brecon Beacons and the comforting crackle of a roaring fire. Abergavenny town is only 5 miles away and offers a wide variety ofthings to do and see. There are plenty of castles to visit around the area, and Abergavenny museum is set within the keep of the impressive ruins of Abergavenny Castle. You could also visit one of the two Welsh vineyards in the area; Sugarloaf vineyard and White Castle Vineyard are both within easy driving distance from the Tower and offer the opportunity to sample some locally produced Welsh wines! Situated on an organic 100 acre hill farm, this charming cottage is a peaceful paradise, surrounded by wonderful panoramic views. With a rustic country interior, you can truly get away for a relaxing, romantic Autumn retreat amongst the breathtaking beauty of the Brecon Beacons. The Roast Ox Inn in Painscastle provides good country pub food and drink, locally sourced and great for a crisp Autumn evening after a day of exploring the many walking trails in the beauty of the Brecon Beacons. Hay-on-Wye is a 9 mile drive away and is full of independent shops,cafes and restaurants as well as hosting an excellent traditional market every Thursday. The Market has a great variety of stalls, selling everything from local cheeses, homemade preserves, cakes and fresh fish and game to antiques, bric-a-brac and local arts and crafts. Well worth a visit in the Autumn months when produce is abundant and the market thrives. 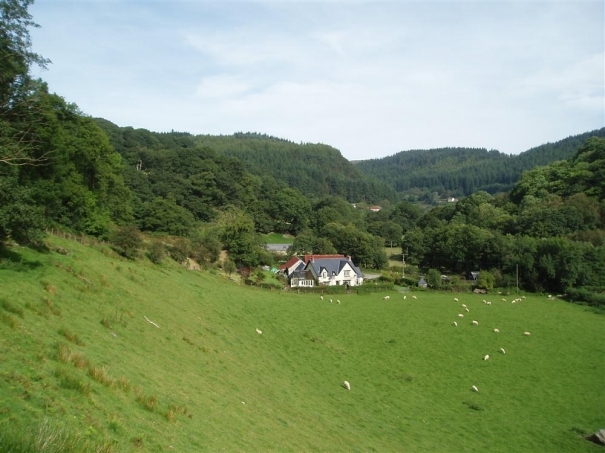 This charming little cottage is nestled in the wonderfully secret and beautiful Abergwesyn Valley, and is a perfect Autumn hideaway for two. Surrounded by rolling landscapes, the cottage is still only a few miles from the local pub in the village of Beulah! Comfortably furnished and surrounded by immaculate gardens as well as many stunning walks from the door into the rugged and rural landscape of the Brecon Beacons. The perfect place to hide away in your own private Autumn paradise. Longhouse and Nature Reserve. 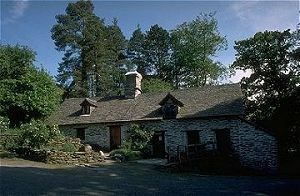 This lovingly restored Welsh Longhouse is set deep within an ancient and virtually untouched 418 acre nature reserve. Take the morning to wander the paths and trails of the oak woodlands, upland river, meadows and moorland and discover the rich diversity of wildlife, shrouded in stunning Autumnal beauty.